She is an amazing woman, and I am honored to call her my dear friend. Love you to the moon and back Kara! The other day, Fleet Feet Sports (my favorite running store) had a social run where you get to try on a certain brand of shoes for a demo run. This is not the normal “run on a treadmill” type of run, but rather a run outdoors with hills and such! What a cool idea, to “try before you buy”. 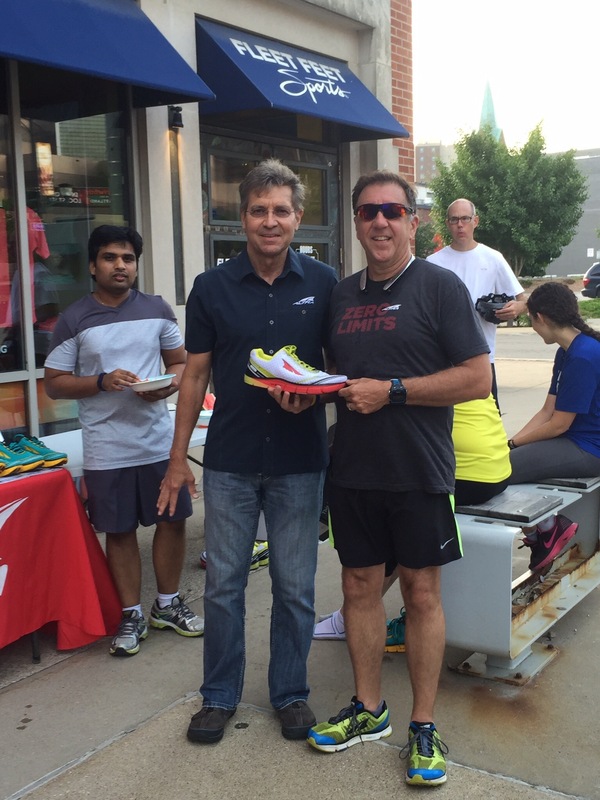 This week, the shoe sponsor was Altra, which I am the stores “ambassador” for. So I was pretty sure I had better show up for this run. 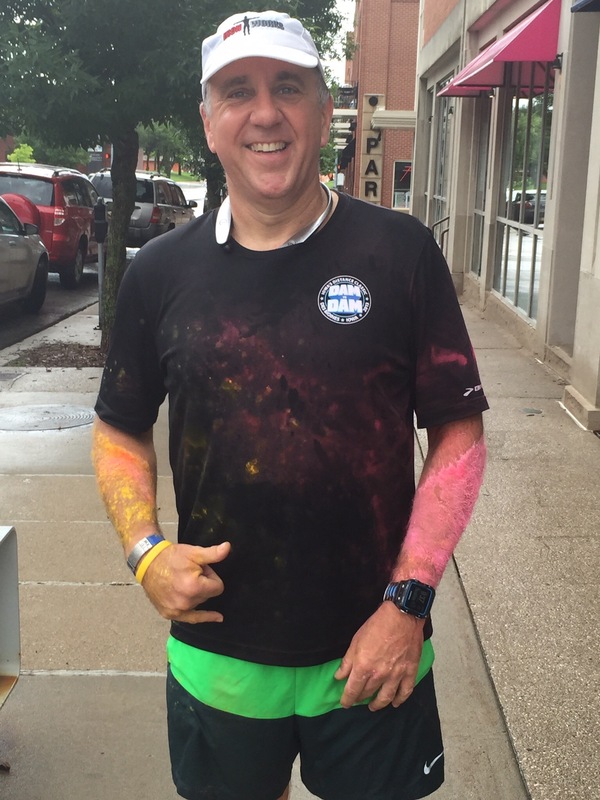 I decided that I would wear my Altra shirt that was given to me (with a pair of ProVision 2 shoes) when I became ambassador. I got there and there were several styles of shoes to choose from, in various sizes, and also watermelon for after the run. 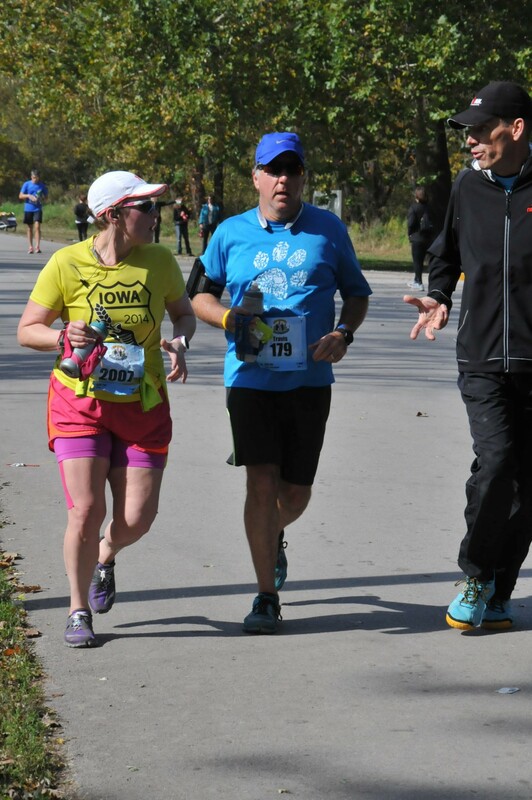 Andy, the owner of Fleet Feet, introduced me to the Altra rep and started to say that I was the store ambassador for Altra, when the Altra rep quickly said “I knew that right away. That’s the only way to get that shirt.” Good thing I decided to wear it! I decided on a pair of Torin zero drop shoes for my run. The difference in the ProVision 2 and the Torin is in the amount of arch support. Some days I want it, and I wear the ProVision 2’s. But it’s when I don’t want that much arch support that I have an issue. Well not any longer; the Torin will be the next shoe style I purchase. They were very comfortable for the 3.5 mile run, which inculded a lap around Capital hill. 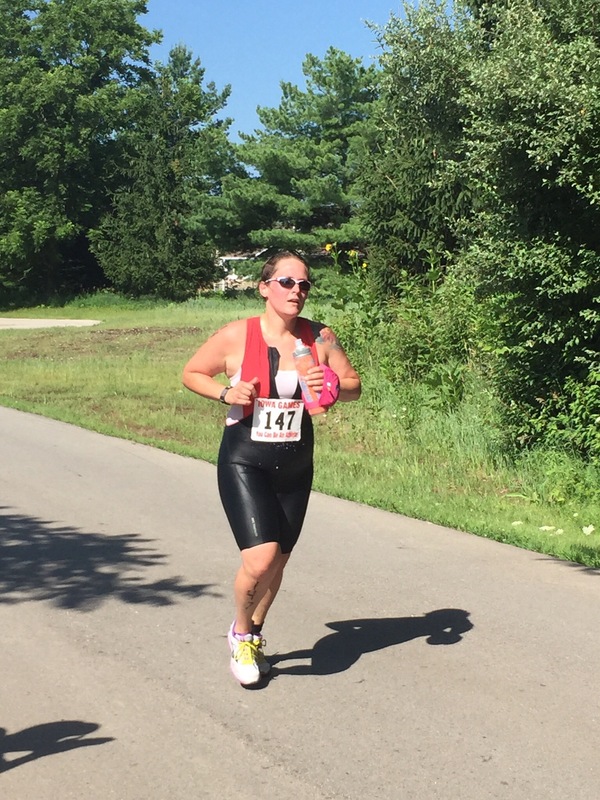 They felt great the whole time, and is the style that I want to add to my running shoe group. Please share this with everyone you know. I am raising money for the Animal Lifeline of Iowa, a no-kill special needs shelter in Des Moines. They are such a wonderful group, and do an amazing job caring for all the animals that come to the shelter. 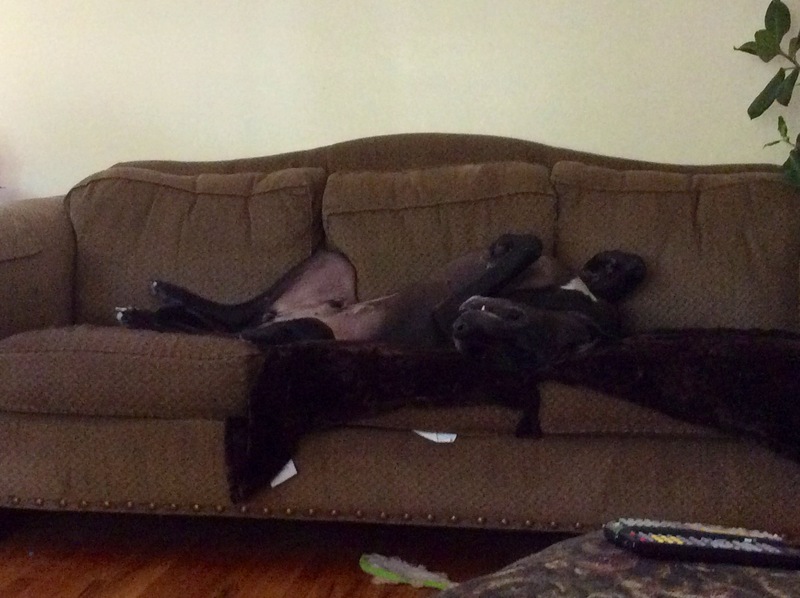 Murphy, our Great Dane, came from the Animal Lifeline. Training has been going well, but there never seems to be enough time to get in all the workouts that you want to. Swimming in a wetsuit has went amazingly well. I actually swam 1.2 miles non-stop in a wetsuit! But there was an issue we were overlooking: what if a race is not wetsuit legal? If the water temperature is above a certain degree, then wetsuits are not allowed. So we are beginning to work on swimming in open water without the aid of a wetsuit. It’s hard, but in the end we will be ready, no matter what. The Next Strides group I mentor on Tuesdays and Saturdays are improving in leaps in bounds. It is incredible to watch these people transform into seasoned runners. This Saturday was the halfway point in the training program, so most of them were signed up to run the Midnight Madness 5k in Ames, Iowa that night. I could not go, as I had a wedding to attend, so I came to the morning group run to see who would show up. Did I mention it had been raining for hours, with no sign of letting up? Sure enough, two brave souls showed up to run 6 miles. I gave them the option: run in the rain, or run in the parking ramp. They chose the rain, and I am glad they did. These are the types of runs where memories are made, and this one was no exception. We selected our route and took off, only to find that The Color Run 5k was setting up. As we ran past we laughed that surely they wouldn’t run the race in the rain. Who else is crazy enough to run in the rain? So we laughed and chatted and went on.